...an assortment of audio, video & computer equipment, some used, some new, and all too good to throw away when someone might have a use for it. Blackmagic Video Recorder USB2 device for recording H264 video files from analogue composite or YUV SD sources. Mac-only. Bought in error by a customer who thought it recorded HD and immediately returned it when he discovered his mistake. 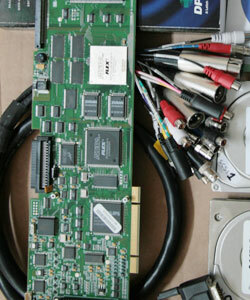 UltraScope Blackmagic UltraScope waveform displays/picture monitoring - previously used with Avid. 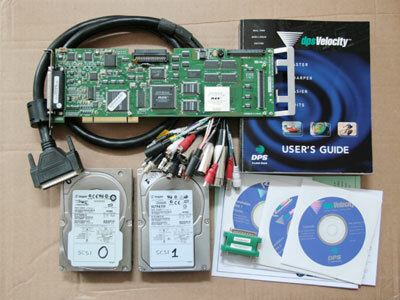 In box with software CD and PCIe input card. Leitch / DPS Reality Used dpsReality card & Breakout cable. 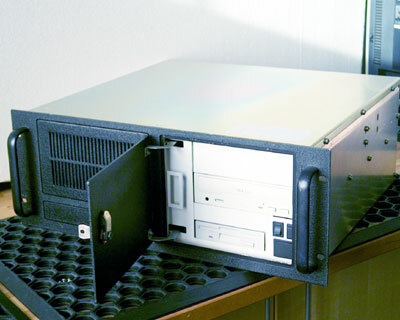 Includes Reality/Velocity software, Inscriber TitleMotion (dongle) and two 73GB SCSI drives. 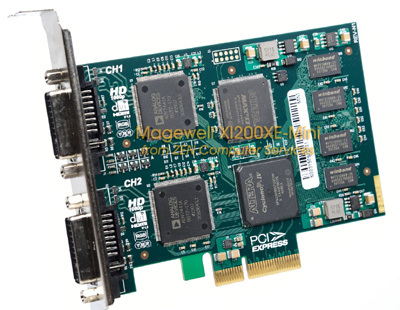 We have a number of these Magewell dual channel HD capture cards which have been made available by one of our customers who, as an OEM, had bought a hundred units, but has now changed their product design such that these cards are no longer suitable. From the original batch, they think there are ~15 units left which are virtually unused, except for a short test, and they have asked us to sell them on their behalf. 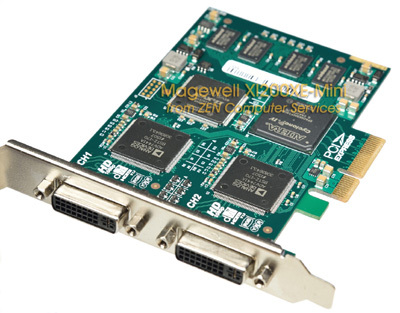 The XI200XE-Mini is the predecessor of the Pro Capture Dual DVI card, with similar input capabilities. 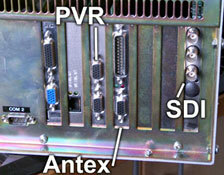 So two channels of SD/HD up to 1080p60, via either DVI, HDMI (with embedded stereo audio), VGA, YUV component or composite. Adaptors are required for non-DVI sources (and not included), but for HDMI or VGA you can use the readily available back-to-back DVI-HDMI or DVI-VGA adapters which are often included with graphics cards, or you can use HDMI-DVI cables too. The DVI-YUV cables are available from Magewell and are the same as those for the Pro Capture models..
Price is 140.00 (GBP) each (+ VAT in the UK/EU) plus delivery, which is less than a third of the price of the current Pro Capture DVI version. We're offering a 3 month DOA warranty (by keeping a few cards back), or a refund if we run out. All cards will be tested by us (for HDMI capture) before shipping. 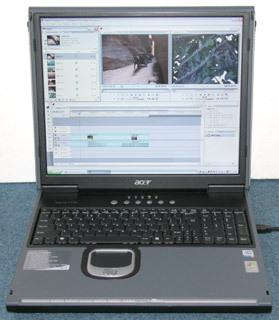 Acer Aspire 1714SMi Laptop with WindowsXP. As new condition. 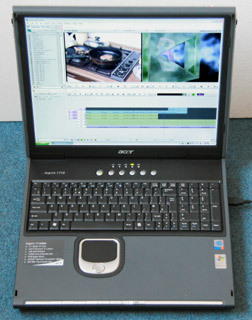 Bought for demonstrating Avid Xpress & Premiere Pro at trade shows but otherwise virtually unused. It's got a big 17" LCD screen running at 1280x1024 from an Nvidia 5700 chipset with 128MB RAM and a full spec 3.4GHz Pentium 4. 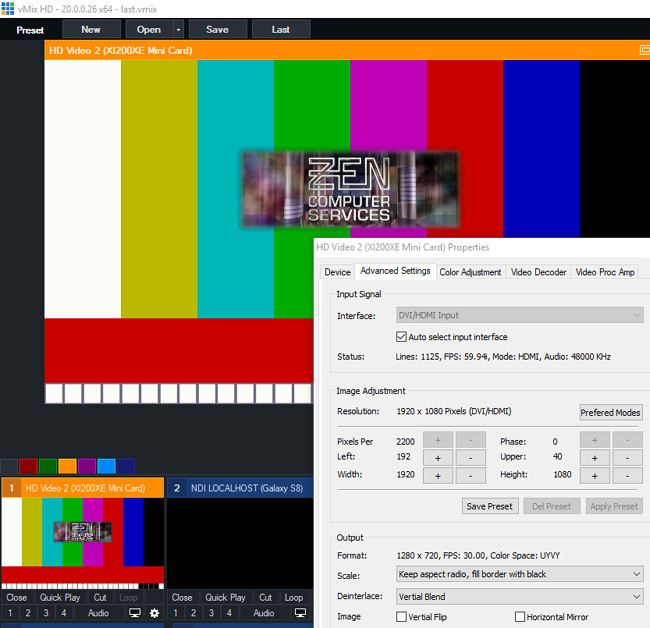 It also has S-Video TV out from which you can get a full-screen version of Premiere or Avid's video preview window. 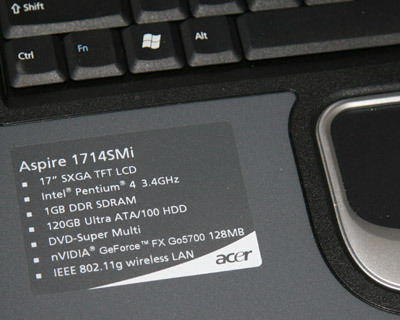 The system RAM is 1GB (2x512MB), but could be swapped for 2x1GB. Likewise, the 120GB hard disk is a full size 3.5" unit (not the normal 2.5"), so it too could be swapped for anything up to a 500GB unit. On top of that, it's got a DVD writer, two 1394 firewire ports, both gigabit and wireless ethernet and lots of USB2 ports. Complete with original box & accessories. The replacement models aren't as upgradeable because they've gone back to using 2.5" disks to keep the size down. 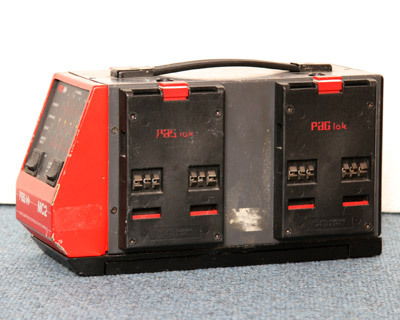 Old but tested/working PAG battery charger for PAGLok camera batteries. Fully automatic with microprocessor control. 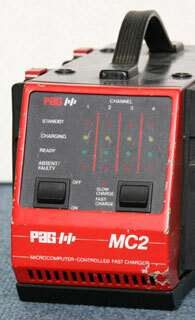 Will charge all PAG NiCad batteries up to 14V (and others - eg battery belts) Slow and fast charge modes. Standby, Charging, Ready and Absent/Faulty status display for each battery connected. 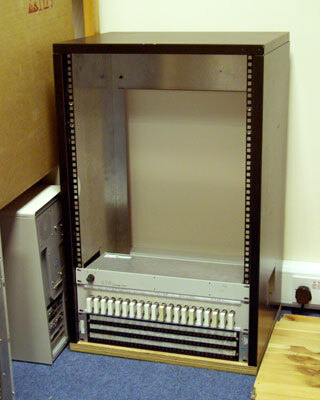 We have sometimes have audio PPMs available, usually in rack-mount boxes, and can help install and set them up in any edit environment. As a long-time PPM user and devotee, Martin can advise you on most PPM-related matters. We currently have the non-BBC scale (nordic?) 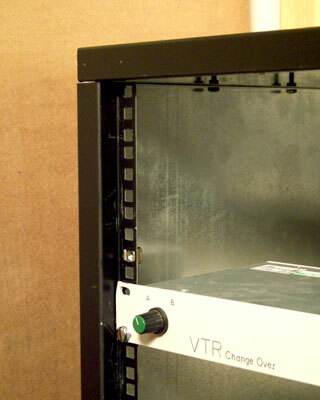 PPM meter pictured right, featuring twin level meters plus a LED phase meter in a 2U rack mount case. 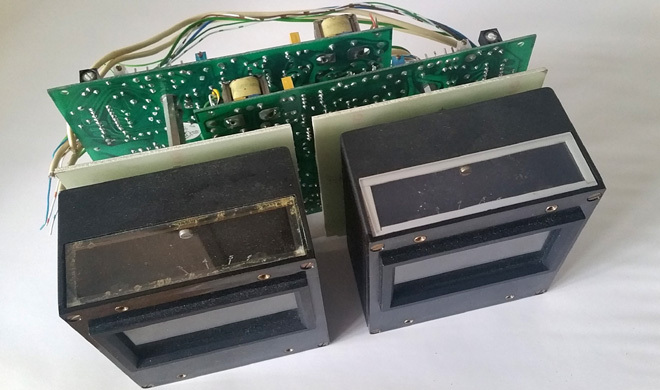 Pair of M/S + A/B stereo Sifam BBC-style PPM meters and AM 20/4 drive cards taken from a CALREC mixing desk. VGC. Untested since removal but were working fine. 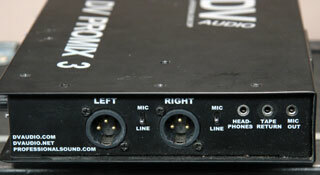 Professional Sound Corporation DV Pro Mix 3 stereo audio mixer. Three mic/line inputs (all on XLRs), main output on 2x XLRs (switchable to mic or line level), headphone out on 3.5mm mini- jack . 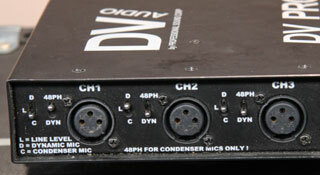 Mic inputs have three-position gain switch for Line, Dynamic mic & Condenser mic levels, P48 Phantom Power on/off, bass roll-off (at 20, 80 or 150Hz), and L/R/Centre pan switch. 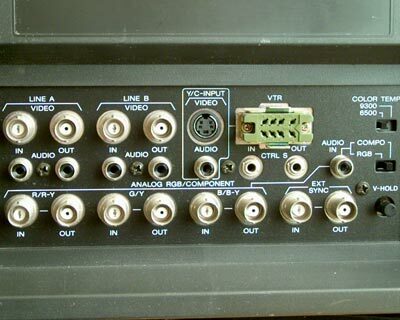 Includes tape return i/p on mini-jack with Direct/Tape selector switch and headphone volume on the front panel. Bright LED L/R level meters. Powered by two 9V PP3 batteries. Includes protective shoulder bag & strap (although not the one shown). 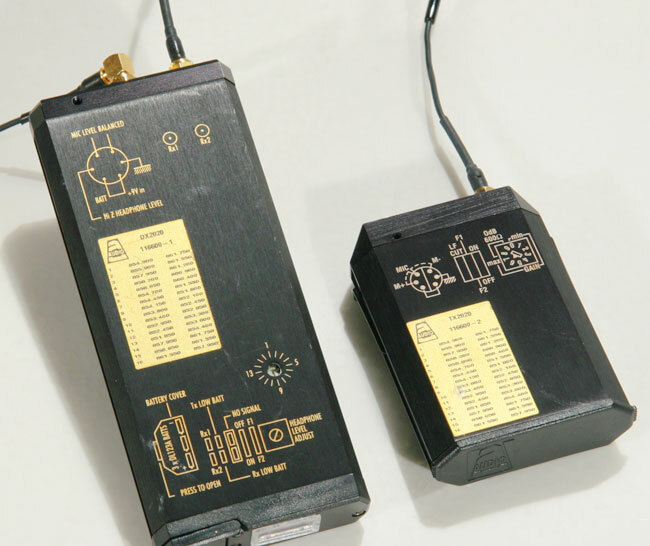 Audio TX/DX 2020 UHF diversity radio mic transmitter & receiver pair on Ch69. Industry standard broadcast-quality radio mic. Little used and in very good condition (apart from slightly kinked TX aerial - it only takes one person leaning back on it a few times!). 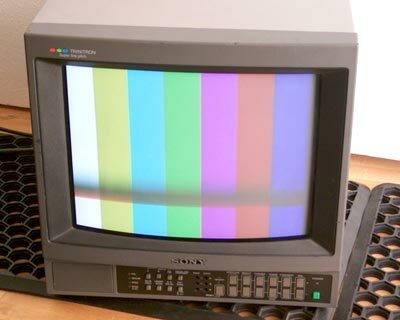 Includes output cable and can include a used Tram microphone at extra cost. and you are welcome to perform any reasonable test before buying. All sales are final - this is a Car Boot Sale after all!